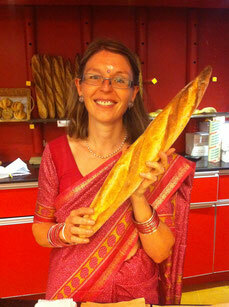 We told you Catherine was passionate about India ! 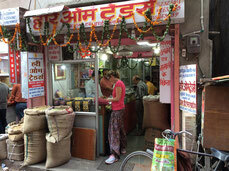 After having worked in a French bakery in Pondicherry, she learnt indian cuisine with Lokesh, a famous Indian chef in Jaipur, Rajahastan. 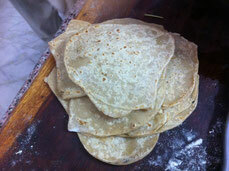 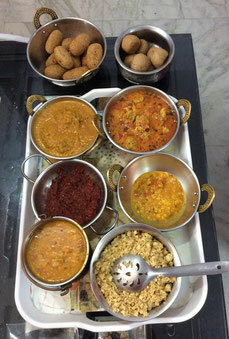 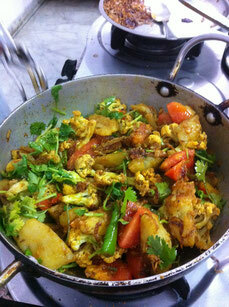 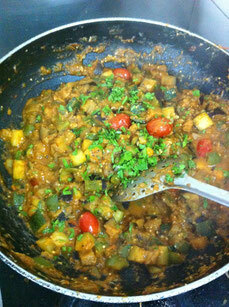 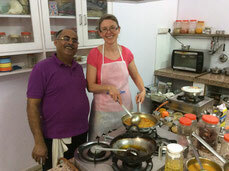 Catherine now organises customised Indian cooking workshops, for groups of 4 to 6 participants. 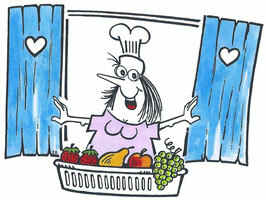 Duration : 3 hours, from 4 pm to 7 pm, followed by onsite dinner with your production ! 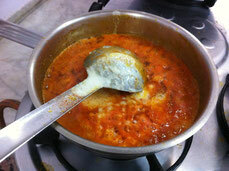 Rate : 50 € per person all inclusive, with workshop and dinner, also including wine and home-made dessert.